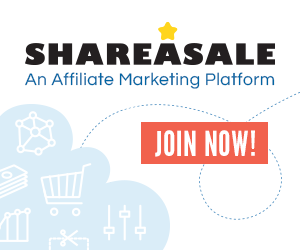 I’ll be sending you some of my best tips for making money as an Amazon Affiliate Associate and creating successful niche websites. In my mind, Amazon Affiliate isn’t a success unless it’s actually helping you and your site, so I love to offer content on top of the plugin to help you succeed. One of the main things that we have learned after selling 7 figures worth of products as an Amazon Affiliate, it’s that product reviews are one of the highest converting pieces of content you can add to your site. If you’ve collected all the keywords for your niche like we showed how to do in the Amazon Affiliate Training, then you should notice that there are some review based keywords in there. Why are these keywords considered “money keywords”? Because they imply that the person searching them is in a buyer’s mindset. With every keyword search on Amazon, there is a question and a mindset behind it. So if someone searches “Smart watch reviews”, they are already interested in buying a smart watch, and now are looking for which one is the best to buy. If you can rank first for a product review keyword and write an awesome product review for them that makes their purchasing decision easy, then you are taking full advantage of these “money keywords”. To sort through your keywords and find these money keywords, you can use conditional formatting to make keywords with terms like “review”, “best”, and “top” highlight in red. Then use data sort to get those red highlighted keywords grouped together. And there you have it, your list of money keywords. There are 6 tips that I have to create high converting product review pages. We will cover them below. Knowing what you are trying to accomplish with product reviews may seem like a weird tip, but it can make all the difference between one that converts and one that doesn’t. First, you need to understand that writing product reviews is actually a competition. Since we are targeting keywords and fighting for that number one spot on Google, we want to have the mindset of being better than our competitors. To give yourself a leg-up on your competition, search for your keyword and see what the top 5 results look like. These are the ones you’ll want to beat. Do they use images and videos? You’ll want to investigate these and come up with “goals” for you to reach. If you notice that the longest one is 1,000 words, you’ll want to create an even longer, more detailed one. Yes this takes work, but it pays off hugely to put the time in upfront and reap the benefits later on. You can also outsource all your writing as well to someone on sites like textbroker.com, elance.com, and oDesk.com. Secondly, you’ll want to craft your content in a way that truly makes the buyer’s decision easy. This means you’ll want to provide good options, but not overwhelm them with 800 choices. That would give them “analysis paralysis”. If you can narrow the choice down to 3 top picks, that fit different people’s needs (e.g. Quality, pricing, etc. ), then that will make their choices easier, and thus send them over to Amazon easier. And sending them over to Amazon wanting to buy something is exactly the goal of being an Amazon Affiliate. This technique is not only for within one specific product’s review, but for your entire content. While I said narrowing down people’s choices to the top 3, you’ll also want to provide products that are popular, but aren’t all that they are hyped up to be. You can do this by looking at products reviews or brand names. If a well known brand puts out a product, but that product isn’t a great one, let people know. This helps build trust, as it’s hard to believe someone who gives all products really high ratings, just because they want you to buy at least one of them. This pairing of top 3 choices and lower choices also makes your higher reviewed items stand out more, making the visitor more confident in them and making you seem more of an authority on the matter. You will also want to make sure you do this with specific products. Be honest about your reviews. If a product is a lower price but is also lower quality, you’ll want to let the users know that. Using a pro and con list with bullet points makes this extremely easy to convey and builds trust with the visitor. While you don’t want to come off as spammy, linking to Amazon at key places can greatly increase your click-through rates. Some of the places that I’ve found that linking helps is to link the title of the product, the pricing of the product, and different variations of the product. If you’re product has different colors or sizes, link each one specifically to that product’s variation page. I also have found that using a curiosity gap gets clicks. This can be as easy as adding “see more reviews here” and link to the reviews of the product. There are a lot of options when you begin to thinking about linking like this. 4. Use images and link them! People love images of products. They help give the person a sense of a real product that is being evaluated by your review. What I’ve also noticed is that if your product is linked to Amazon, then you get a lot more click through from them. Either way, you need to be including images on your product reviews for maximizing your commissions. You’re bottom line will thank you at the end of the month for doing so. Buy now buttons are awesome converters when placed at the bottom of a product review. If everything is going as planned, then a visitor in a buyer’s mindset as searched for “ reviews”, has come to your site and been convinced that product #2 is the one that would suite them best, and then wants to buy it. What will help keep this step by step process going smoothly? A big, Amazon styled buy now button. You can find these images on a Google search, and then follow the same steps as above to get that buy now button to have an EasyAzon link. Whichever path you choose, adding an Amazon styled buy now button below your product review will help you make more money. If there is one thing I have noticed that adds greatly to my conversions on product reviews is to start every review with a product comparison table. People love these. It makes visualizing and comparing the products that much easier (which makes them clicking over to Amazon you making money that much easier). The free way to go about this is to use the WordPress plugin TablePress to build out tables which you can insert whatever you’d like into them, including EasyAzon links. It takes a while, but is totally worth it if you want to make more money. Remember taking the time upfront to build these things pays off more and more as time goes on. We realized product comparison tables were so high converting, that EasyAzon Pro built an extension that makes building them fast and simple. But there is always the free way to do it. Get going! These tips are only useful if you put them into action. Knowledge isn’t power… taking knowledge and acting upon it is where the power comes from. I hope to see you using these new tips to start growing your website to new heights, and I’m glad A2Cart can be there to help you do so.